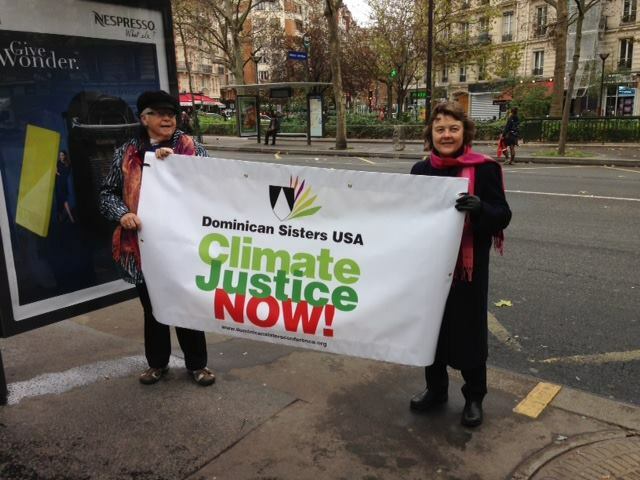 Sisters Pat Daly (Caldwell), Elise García (Adrian), Pat Siemen (Adrian), and Margaret Mayce (Amityville) are in Paris, France for the Climate Summit. Elise Garcia, O.P. has been writing for NCR’s Global Sisters Report, and Margaret Mayce, O.P. has been posting reports to the NGO’s Facebook page and the Dominican Sisters Conference Paris 2015 and Counting . . . website.